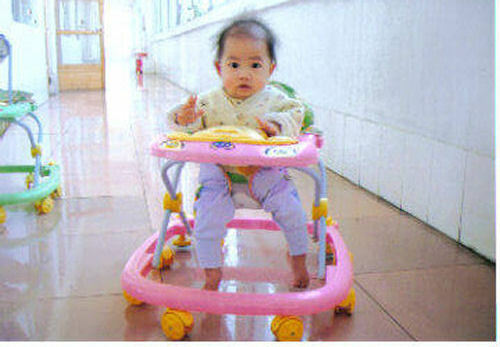 Evangelina's caretakers say she is a healthy, active and energetic little girl. She likes to imitate. She smiles constantly and she is loveable. 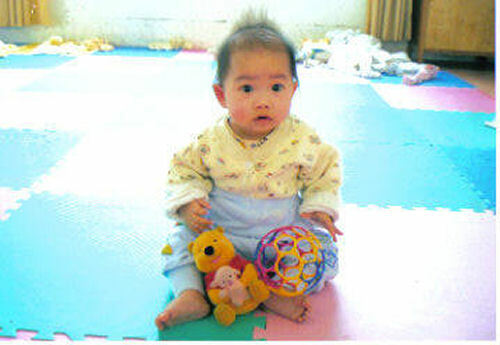 At age 1-2 months, she followed objects with her eyes. She lifted her head on her tummy and cried when hungry or uncomfortable. She smiled when the caregivers played with her. At 3-4 months, she turned from side-to-side. She lifted upper chest with elbows on tummy. She waved hands & kicked legs on back. She showed excitement at sounds. At 5-6 months, she turned from back-to-side. She stood with support. She showed excitement at food & smiled at a person she knew. She gazed at strangers. At 7-8 months, she turned over freely. She sat alone for a moment and stands by herself for a moment. Her favorite activity is listening to music and her favorite toy is a battery-operated toy!